Hey! So, it’s been a while since I started this blog and proceeded to post, well… nothing. The problem is, most of the time I get help with scanlations so I never end up being the sole person working on any release. 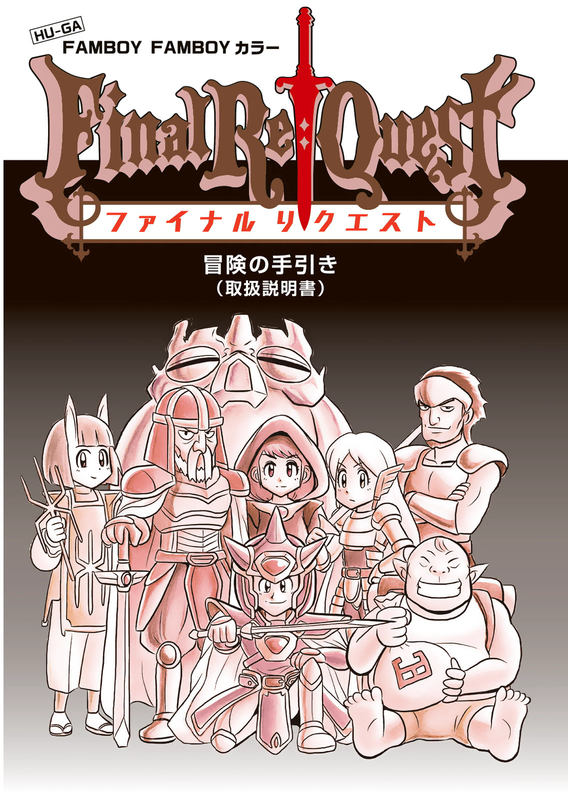 Final Re:Quest is a fun little manga series with an 8-bit RPG aesthetic. It’s styled to look like the type of RPG that would’ve came out on the Famicom or something. It’s first chapter was released sometime last year by Psylocke Scans. At the time, I had already started work on translating these opening pages, but he was able to release the first chapter before I could even finish work on this. That made me a bit less motivated, and I also got distracted by other projects, but even so, this still managed to be finished many months ago. The reason it wasn’t released back then is because, even though Psylocke said he only did the first chapter to get people interested in the project and had no plans to do any further chapters, I was still waiting on the group I’m a part of (Golden Roze Scans) to start work on the main chapters of the series, with the plan being to release this as a part of their group alongside those main chapters. Now, for everybody who comes here to hear a bit about my work process, let me talk a bit about my translation process. The translation started off as a rough, literal translation of the actual text from Japanese to English. Then, for the sake of authenticity to the thing the series was obviously parodying here, I downloaded scanned PDF files for various Dragon Quest manuals in both Japanese and English. Thankfully, the text in the English manuals appeared to be a direct translation of the Japanese manuals’ text. So, I cross-referenced everything from the Final Re:Quest Adventure Guide with the Japanese Dragon Quest manuals to see which lines matched up with, and which ones didn’t. Then, I used the style of translation from the English version manuals and even used the same lines where appropriate, just to get them to stylistically feel as similar as possible (while obviously still staying true to the original Japanese text for the Final Re:Quest Adventure Guide). However, in the English version of Rocket Slime, “Miihon” was instead named “Hooly”. Thus, to keep the reference to the Dragon Quest character in-tact for English readers, while making the same change from the letter “H” to the letter “P”, I changed the character’s name to “Pooly”. Some of you may not like this change, but I felt it made a lot of sense at the time. This entry was posted in English Scanlation, Releases and tagged 2010s, KUSAKA Ichirou. ← Welcome, One and All!